From a legal perspective, being involved in a bus accident is much different from being involved in a car, truck, or motorcycle accident. Buses and drivers are held to even higher safety standards than other vehicles because they are commonly used as public transportation for taking children to school or passengers of any age to their destinations. Bus companies are required to follow certain guidelines from the Federal Motor Carrier Safety Administration that do not apply to other vehicles. The basic idea behind what is known as the “common carrier” rule is that a bus typically carries a larger number of people than an average automobile on the road. Therefore, bus drivers must take special care to be particularly competent drivers. This is especially true because a bus accident can cause extensive property damage and serious personal injuries due to the size of the bus. 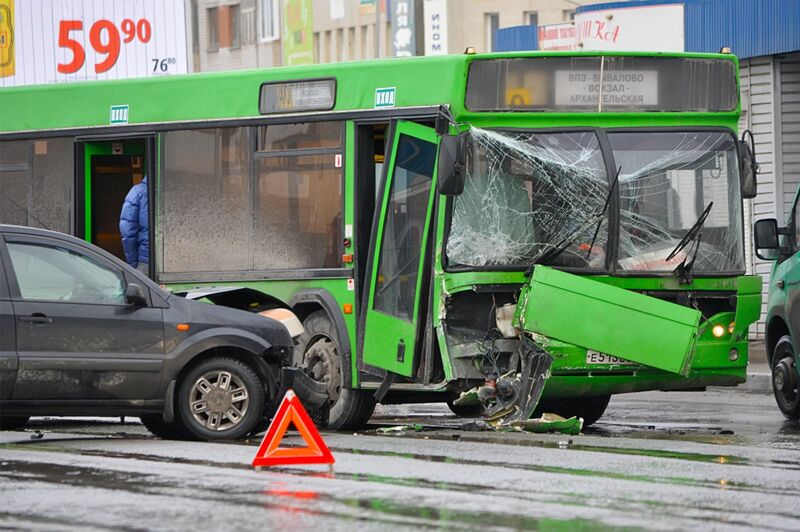 If you were involved in a bus accident, then you have likely suffered tremendous injuries in the accident. When making a claim for damages due to these injuries, it is common for the bus company to try and trick the victims into signing medical release forms and giving recorded statements that can be used against the accident victim to ruin the injury case. Be sure never to give any statements that are recorded or to sign any documents without consulting a lawyer to learn about your rights. Another issue is whether the bus had seat belts. Many buses are simply not built with them and many states are beginning to require that they be present. If you did not have access to a seat belt while on a bus that crashed, you may have grounds for a lawsuit against the company that manufactured the bus. In any case, being involved in any kind of motor accident can cause serious personal injuries. If you or a loved one has been injured in a traffic accident, you will need an experienced disability lawyer to handle your case. Call my office at 850-308-7833 for a free case evaluation.